15 minute rosemary infused sweet potato and chickpea burrito mixture. 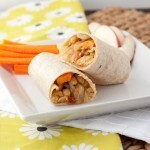 Wrap in a gluten-free brown rice tortilla for a 300 calorie healthy summer lunch! Melt coconut oil in a large cast iron pan on medium heat. Add sweet potatoes, onion, rosemary and salt, cover and cook for 10 minutes. Add remaining ingredients and cook until heated through. Remove from heat and add bean filling to tortilla along with desired toppings. Wrap and serve. 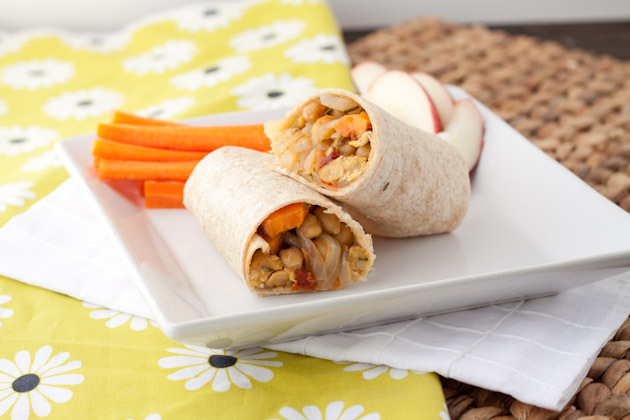 Leftover filling can be reheated the next day for lunch in a wrap, as a salad topper, or mixed in with some leftover rice.